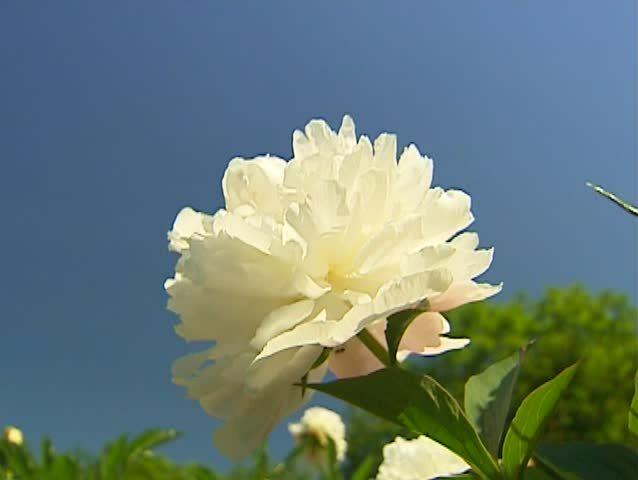 hd00:20Branch of jasmine with young green leaves and white flowers on blue sky background on light wind in sunny day. Close-up. HD 1920x1080.